Part of our vision, when we decided to become expats, was to visit the States once a year while we could. We felt like it was necessary for our sanity, to receive some refreshing cultural break, and most importantly the relationships with our families, especially the nieces and nephews. I even wrote the EXPAT GOING HOME SERIES as a result of our stateside experiences in hopes that others could use it for their return visits as well. As I write about our experiences, I truly desire that it helps others to be intentional in their expat living. It’s not easy, but with some work, you can make it easier! After our return to Turkey, the fall season took over and our work and language schedules pushed everything else to the side. While I know this is selfishly just a post for us to remember out travels to the states, I am glad to write about our visit finally! Hopefully, you will enjoy it too! There were two parts of our visit; Louisiana (my home state) and Iowa (Jason’s home state and our ‘home base’). Since we had spent a month in Asia, we decided flying one way into Louisiana would be best. And thanks to our United Airlines miles, we also flew one way out of Iowa back to Turkey. After arriving in New Orleans, we picked up our pre-booked rental car with National (major points to them for not having a one way drop off! ), and we were on our way. Almost two years had passed since I last visited Louisiana, it was nice to go back to my first ‘home.’ The place where I was born, raised and graduated college. There are parts of me that feel I have betrayed the town and people I grew up with because I live so far away now. But most of my close friends have moved on or back to their hometowns, but there are still a few folks that will always be there. Louisiana wasn’t just a family visit, one of Jason’s clients is based out of South Louisiana. After working together for a year, we decided it was high time for us to meet them face to face and build a little bit of a personal relationship with them! The team there took us out the best Chinese restaurant in town and then to a nearby gator farm. A favorite moment of the visit was when Jason held a 50 pound alligator for the first time. I was super proud! – Spent some great time with my brother and sister-n-law. I even celebrated my brother’s birthday with breakfast just before we left for Iowa! Jason and I are no strangers to the long 14-hour drive between my hometown and ours in Iowa. And it was fitting that we drive this route again. Flying is ridiculously expensive, and one-way tickets are the same as roundtrips. – Met up with the Ranks (definitely, check out his history in 5 minutes podcast!) and another one of my bridesmaid, Jodi in Kansas City – both have lived in Turkey before! Iowa is the states Jason and I fell in love. It’s where he proposed to me, told me he loved me, kissed me for the first time, and where we decided to get married so our spiritual support could be there to witness what they had so graciously mentored. While I still do NOT like the winters, I love the summer. The beauty is different than the tall trees and winding roads of the south, but I have grown to love the vast fields of corn and blue skies that can be seen for miles. – Went to the zoo with some cute nieces and nephews on the Funk side! – Read three books! Go, read the Rising Red series RIGHT NOW. -Spent many more morning with the nieces and nephews. -Spent a few days resting and Jason for sure did a lot a working! Special thanks to Tim and Darlene for the housing and the Funks for the car and for the Bradleys home to mail everything too! We did ask to take the nieces and nephews back with us but were told “no” by their parents… gesh. After a long overdue silence and a very long 20-hour journey back, yes, we did make it back to Turkey with all our bags and very weary! Jason and I have very happily settled back into our lovely little apartment in Izmir, Turkey. But that is life right? Moving to another state on the other side of America would have the same effect. I mention these issues as well in our first year abroad part 1 and part 2 and the 10 things I learned about living abroad. If you are a friend that lives near a place we visited, we are so sad that we didn’t get to see everyone we wanted and are sorry if we missed you! 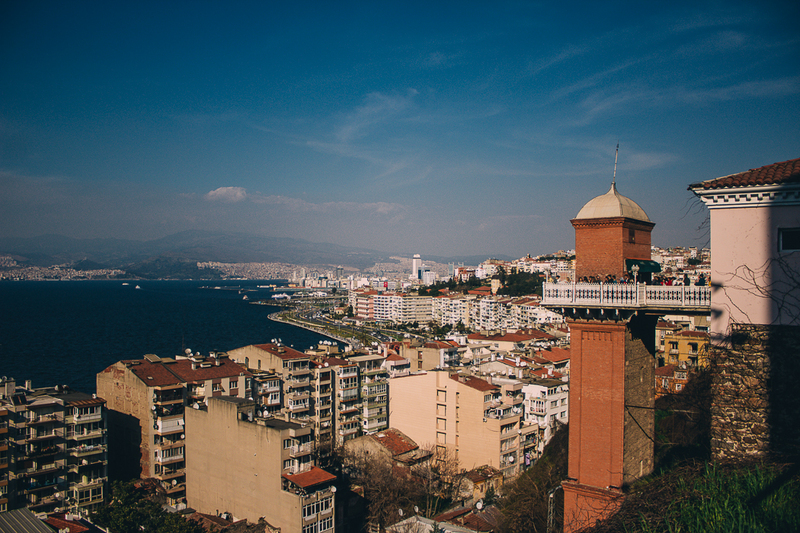 Of course, you are always welcome to the beautiful city of Izmir, and we would be happy to host you! Also, even though we travel quite a bit, we still would love to see more of the states. We both talked about how we would like to spend a week exploring a new part of USA when we return home. Overall, it was a fantastic trip back to the states to visit our family and friends. 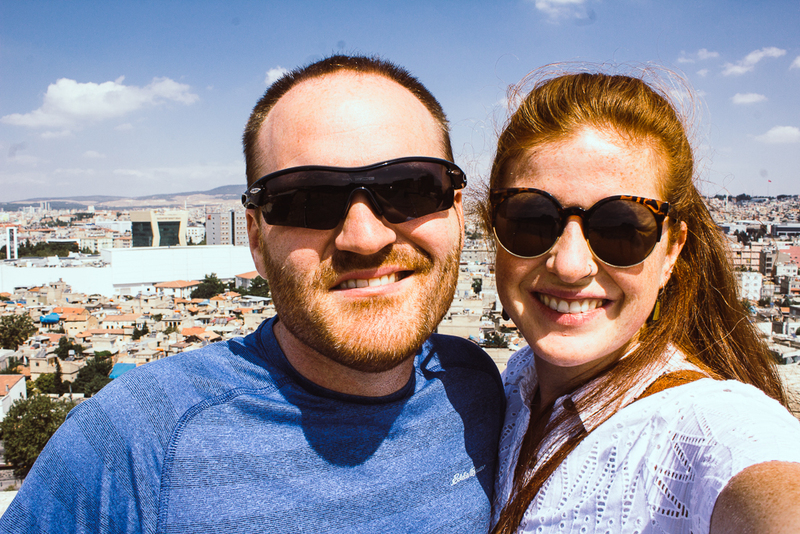 And thankfully, while we will miss them, Jason and I were happy to return to Izmir, Turkey! Here is to year 2! Websites like ExpatFocus.com help others gain knowledge about the community, cost of living, and even neighbourhoods. Some of the best advice is from first hand experience. This website also has articles about expat living as well. While most of our answers tend to be the same, we continue to learn more and more about ourselves through our expat living. We enjoy sharing that knowledge with others via our website, podcast, and expat websites. Further down in the interview. If you have more specific questions about our expat lives, our FunkTravels Podcast Episode032 and Episode033 answers most of them! The Funks have been living abroad as expats for just over a year and just like anyone’s life, a lot has happened. 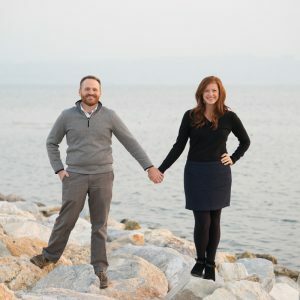 For newcomers here, check out more of our story or listen to our podcast episode where we announced our move to the Turkey. Currently, we are working to re-apply for our visas. Our 1 year visas are coming to a close, and we are submitting our visas to live in Turkey for another 2 years! 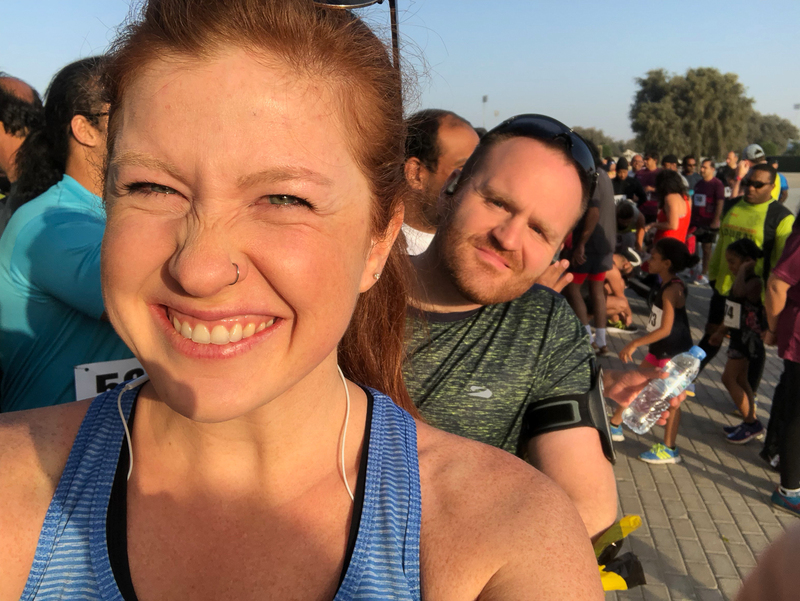 As I wrap up part 3 of our EXPAT YEARS Series, I share 10 things we have learn our first year as expats. Jason and I agreed before we moved that renting a furnished apartment would be the best option. We could potentially pay more for our home but save money the first year. It would give us time to make sure we were in the right location and look for a more permanent rental that we knew we really liked. Real life: Jason and I found a newly renovated apartment (not furnished which means NOT ONE SINGLE APPLIANCE) and fell straight into full on house furnishing mode… You know what? We didn’t even look at the other furnished apartment. Don’t get me wrong, we LOVE our apartment and LOVE that we live here. BUT, looking back now, we both agreed it may have been a little easier had we stuck to our original plan. It would have given us a year to save even more without depleting our moving fund and possibly saved us some frustrations of not having hot water for a month. Having great neighbors is worth your apartment rent and location. Brightside to #1 is our #2. One of the main reasons we love our place is our neighbors. It took a while to get connected with our neighbors, but it is worth all the effort in the world to have good relationships with them. Our neighbors have had us over for tea, invited me into their women’s group, brought us food after my surgery, and even watered my flowers while we were gone for 2 months this summer. Humans are created to be in community, and while you may not need a large community, it is still important. Married 2.5 years when we moved, Jason and I were comfortable with just being with each other, but we both knew it was not healthy. Community brings a network of helpers and advisors that can support you. Community creates friendships which, while they can’t replace your best friends back ‘home’ it can help ease times of homesickness and loneliness. Lastly, community gives you belonging and identity which is crucial to thriving long term in another country. All is important when moving to another country. When I moved to Istanbul, Turkey as a single gal, it was also the first time I moved outside of the U.S.A. I found that celebrating the little accomplishments helped me see growth. I would celebrate the number of months living in a city of 20 million people much like newlyweds celebrate each month of marriage until their first anniversary. Make a list of things you will have to learn, and check them off as you learn them. Or write down things you have learned since moving such as buying furniture, refilling your transportation card, or have the air conditioner fixed. This is so important! Taking a break every once and awhile is good! We were in Turkey 4 months before heading out to Germany for Christmas. After moving, living in an airbnb for a month, buying furniture, fixing issues with our newly (yet not truly lived in) renovated apartment, starting language… needless to say, we were ready for a break! We actually left our apartment in the hands of a Turkish friend for one day after we left so the leaking roof could be replaced. A break was important and usually is needed in the first 4-6 months. So whether it is just outside the city or another country, get out of town for a bit and relax. While celebrating and taking a break are both great things to do, one of the most helpful tip is to reflect. We reflect together every new year, sometimes over our anniversary celebration, and even when other friends ask us questions. If you are learning a language it is helpful to reflect on what works and doesn’t work, and especially what you have learned to see progress. Scheduling time reflect on your work, personal like and projects is more helpful than you think and can encourage you as you in times of need. Unless you are an English speaker in an English speaking country, learning the local language is always a good choice. (Although I do hear France is brutally unkind about new french language learners). Is it easy? NOT AT ALL. But have I found (the second time around, and with a longer term vision in mind) that the more I try to speak, the more others appreciate it. Will it take time? ABSOLUTELY (that was more for myself). With other projects on the burner, Jason and I are working part-time to learn Turkish and it has been worth every hour. Sounds weird but this one little task can make a bad culture day look brighter and mellow out sadness. Like to play guitar? Bring yours or buy one as soon as you can. Enjoy crossstitching, bring your needles and threads. Love to run and exercise, join a gym. You will not regret investing into the hobbies that bring you joy. These Funks love trying new foods, and even though we had both lived here before, I have found there to be so many foods I had never tried. Food opens a whole different door into the culture and locals you are learning about it. Be adventurous, and order that food you don’t know how to pronounce. Try and then record it in a book and either note how great it was or wasn’t! Your family and friends won’t forget you, but it usually looks different. You may find it challenging to connect when you return, especially if they aren’t able to come visit you. However, they will still love you! Returning home could require some preparation on your part and you find learn more about that in our next EXPAT SERIES: Going Home. Hope you enjoy reading about what we have learned! Are you an expat? If so, where are you living? What did you learn from your first year abroad? What have you learned the longer you have been gone? Like this post? Pin it to your board! P.S. – If you missed it, this is a 3 part series about our first year living internationally. “There is a puddle of water in here!” I gasped in horror at the floor of our extra bedroom. Just 1 month into our rental, our landlady was checking over some final projects on our apartment renovation when she randomly checked the extra room and discovered a layer of water. “This is not suppose to happen your first year living abroad…” I thought to myself. I honestly don’t know why she checked that room, but I am so thankful we found the puddle of water on the floor upstairs. After a few hard rains in November, the newly replaced roof from summer was now failing the leakproof test. The room upstairs is not one that we use a lot just yet, but it is important that we fix the leak. Winter season is mostly rainy season for the Izmir area. Two days before our two week departure for Germany and our Christmas market tour, 2 men lifted 4 steel beams up 6 floors via a rope on the side of our apartment to resupport the roof and I just prayed it wouldn’t rain until they finished. And one day before we left, the fixers told us they would need another day. One the day we departed, our Turkish tutor, who had helped up through the process, stayed at our home so that the men could finish the roof. Thankfully, since returning, we have had no major issues! As you can tell and much to our disappointment, living in another country has the same issues wherever you live. What makes them slightly more frustrating is figuring out how to solve them… what method they use, who can help you, what is a good price, and how to say it in another language. BUT just like living in your native country, living in another country brings lots of other fun adventures… going to the market, travelling because things are closer, and going to the seaside for a walk. What has been your favorite part? Neighbors and friends – Little did we know that our neighbours would be this awesome! I have really been able to connect with the ladies in our building and in turn they have invited me into their home. Jason has been able to meet some men through a coffee shop he works at and an expat meeting we went to just once. Investing in the people around you is never an empty endeavour. Neighborhood- We love where we live, the neighborhood, parks, seaside. The large weekly market is just 10 minutes walk; Starbucks is about 5 minutes. I run along the exercise path lined with the deep blue waters and parks with benches just 10 minutes from our apartment. Our neighborhood has multiple grocery stores, restaurants, and shops that have everything we could need. Hop in a taxi and the megamall is just 10 minutes away. Travel is always a plus! 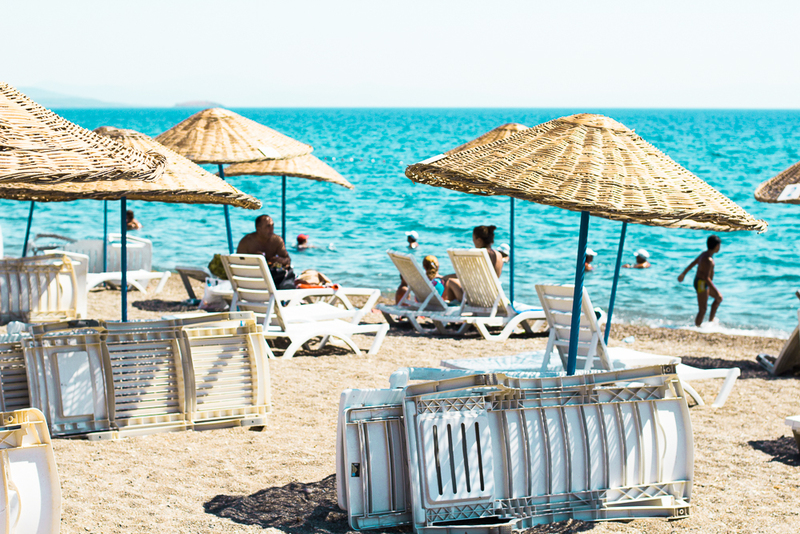 While Turkey isn’t in the EU, it is still a popular destination for Europeans’ vacation. This in turn, makes inexpensive, frequent flights more available to major European cities! Yes, we have traveled a lot and I am sure it looks like it is perfect. Don’t let us fool you! It has been one of the harder parts of our marriage. Nothing has taught us how different the ‘Saver(Jason)’ and the ‘Adventurer’ are than when we travel. This actually extends into most of our marriage too. But we have also learned how to work together better because of it. I struggled to find my balance and identity after working full-time at a university for 3 years. Jason and I had to find new systems for working and living too. Once we got use to that, it helped us manage our schedules better. What does a day look like for you? Daily life is fairly normal and what you would consider typical. Jason works most of the day just like he did back in the states. And just like back in the states, he works from home, or a coffee shop, breaks for lunch or turkish study time. He is generally more at ease with being by himself than I am. When it comes to living in another country and culture, I have had to learn what works best for me, and some weeks I am still figuring it out. I will usually exercise, have Turkish lessons, study Turkish and do homework, write, photo edit, and visit neighbors or friends to practice my Turkish. What does community look like for us? I have found friends through several paths. My closest friend here is German, and we met on a local Izmir facebook group! Through her I found the IWAI and those women continue to weave more and more connections throughout the city than I could ever hope for. Jason and I have made efforts to know our neighbors and meet people in our neighborhood. We also attended an Internations party one time, and from that Jason has continued to meet with the guys he met there. What goals do you have for living abroad? Our goal is to spend 3 years in Turkey. We are believers in setting up timelines and signing contracts with yourselves. While we don’t have a printed timeline for what the next 3 years look like we do know that we plan to be here 3 years, learn language, build community, and continue Jason’s business in the states. Absolutely, you can read more about that in part 1 – EXPAT YEARS: Our First Year Abroad. What was your best and worst of your first year abroad? Do you have a funny story to share? I would love to hear it! EXPAT YEARS: The Truth About Living Abroad (Year 1 Part 3) – Coming soon! 4 checked bags, 2 carry ons, and 2 people boarded a 5 a.m. flight leaving 2 sets of parents behind at the airport in the U.S.A. Excitement, nervousness, and surrealness flooded our thoughts as we traveled to Spain where our other 4 packages were waiting for us at our cousin’s home. Our original destination was Izmir, Turkey, the place that we hoped would be our home for the next 3 years. But with the coup taking place just 2 short weeks before, we detoured to Spain for a month. Instead of spending one more month in the states we stuck to our original departure date – determined to move overseas. We felt that delaying our move would make it harder to leave, and believe me, it was sad enough leaving family and friends behind. So 20 hours later with a very lengthy layover in the Chicago airport, we found our (very tired) selves on the sunny beaches of Rota, Spain. Since then, these 2 people have…. Took a hot air balloon ride in the freezing cold weather of January! And the truth? There have been MANY times I have regretted moving those first few months, especially while we were settling in. REGRETS and ‘second guessing’ are COMPLETELY NORMAL. And in all honesty, part of the deal. The disagreements between Jason and I about what and how much to buy, having to research and learn what to do here before you can make 5,000 decisions, deciding to budget high for travel although we had just moved, investing money into our language learning when it could be easier not to learn it at all, having to deal with having surgery in another country, the days where you don’t want to deal with culture or think about how every way you act. And when those thoughts of regret happened? And even now? ONE year later? I am SO VERY THANKFUL we made the move. The decisions, awkward start of friendships, and transitioning from one life to another have had even more happy moments to accompany them. We have walked through our Turkish friends’ wedding, sang songs in another language, loved on Turkish and expat kids that are not our nieces and nephews, and celebrated life with those around us! Year 2 is already starting off to be an even better year! Do you live in another country other than your native one? If so, where? What emotions did you feel your first year abroad? Was it easier or harder than you expected? P.S. – Stick around for part 2 and 3! I can’t wait to share even more about our first year abroad and what it taught us!